Home » New cars » 2020 Chevrolet Silverado HD: More differentiation, more ugly, and 910 lb-ft! 2020 Chevrolet Silverado HD: More differentiation, more ugly, and 910 lb-ft! The 2020 Chevrolet Silverado HD goes on sale mid-2019. Not only is it more capable the 1500, it only shares one body panel: the roof. Yep. Chevrolet is giving the heavy duty Silverado a significantly different look to its less capable siblings. 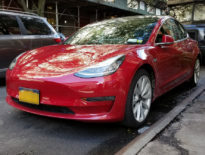 The most noticeable differences are the headlamps and grille, which missed out on the Chevy bowtie and instead has flow through lettering. 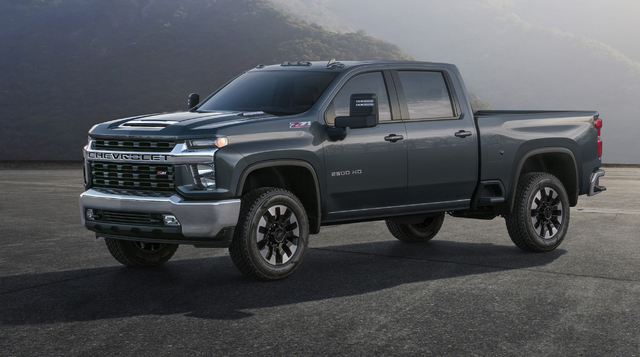 Two engines will be available on the Silverado HD: a direct injection V8 with a 6-speed automatic, and a Duramax V8 turbo-diesel with 910 lb-ft (1,234Nm) and a 10-speed Allison transmission. 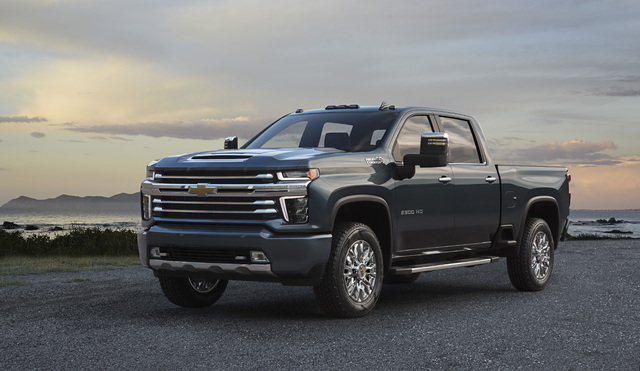 The new Silverado HD will be built in Flint, Michigan, and will be available in five trim levels: Work Truck, Custom, LT, LTZ, and High Country. More details will be available in February 2019 when the truck is launched.